Remember when you had a boss? He or she was the one stuck with the strategic parts of the business – like revisiting and tweaking the business plan and creating an annual marketing plan. In case you haven’t noticed, you no longer have a boss. So, the strategic stuff is waiting on you. Wait – I’ll need a business plan AND a marketing plan? And, like your business plan, your real estate marketing plan is akin to a road map to effective business promotion. With it, you’ll have a strategy to market your real estate business to attract new real estate leads and retain past real estate clients. So, what are you waiting for? Let’s get cracking on the essentials of your 2019 marketing plan. Hopefully, you created a marketing budget as part of your 2019 real estate business plan. If not, do this first. Unless you spend all of your commission checks on personal “stuff,” you’ll need a clear understanding of how much money you’ll reinvest in your business. The rest of the plan will depend on how much money you have to spend. 2. Who will you target? Are they local or from out of town? Are they primarily first-time buyers/sellers or repeat? Any other questions that will help you define your target audience will help you create a more efficient marketing plan. If you need more help with this, Las Vegas agent Lori Ballen has a brilliant walkthrough on her website. Also known as “your message,” what is your unique value proposition? What do you offer that may be more intriguing or of more value than other area agents? Why should they select you? “If you don’t have a unique [value] proposition, you’re just another real estate agent,” according to Tom Ferry, who explains why you need a UVP and walks you through the process of coming up with one in this video. “They’re not caring whether you’re different or not. What they’re caring about is are you going to deliver us a better result. So, don’t focus on being different, focus on what your clients really want, which is the value, which is the result,” he says in Your UVP – Stop Trying to Be Different. If you do have a UVP, but it’s vague, fine-tune it so that it’s ready for next year’s real estate marketing materials. What forms content are your marketing messages (and your budget) best suited to? There are so many ways to get your marketing message out so once you’ve narrowed down the forms, it’s time to choose which marketing channels you’ll use to distribute these messages. The most popular for real estate agents are typically the least expensive (hey, we’re thrifty!). Of course, social media is popular, so decide where your target audience hangs out. For instance, Facebook and LinkedIn are ideal if you’re looking at demographics. 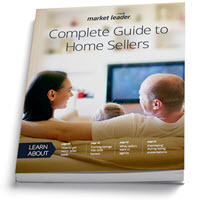 These are the two platforms whose users best fit the age of the average homebuyer and seller. Your marketing calendar should tell you which activities you will perform every month. Not only does this keep you consistently on your marketing track, but on budget as well. Use the worksheets in our Marketing Plan to help create your calendar. Although it’s a critical aspect of your real estate business, the activities called for in your marketing plan can take over your life. If you haven’t yet done so, make 2019 the year you adopt marketing automation. It will not only release you from the tedium and time-sucking aspects of scheduling and tracking your marketing, it can take over the creation and even sending of your marketing materials. Most important of all is that automation keeps your communications consistent. Nothing falls through the cracks.